Sweden start life without Zlatan Ibrahimovic as they host Netherlands in the first of their World Cup qualifiers in Solna on Tuesday night. Looking for the best picks? Don't miss our Sweden v Netherlands betting preview with predictions, betting tips, line-ups, team news, odds, bookie offers and no deposit bonuses on the World Cup qualifying matches! Sweden had a disappointing summer in France. They crashed out in the Euro 2016 group stages after picking up just one point from matches against Republic of Ireland, Spain and Belgium. The influential Zlatan Ibrahamovic, who is also the nation’s all-time top scorer with 62 goals, has decided to hang up his boots. With a relatively young and inexperienced squad, plus France, Netherlands, Belarus, Bulgaria and Luxembourg in their World Cup qualification group Sweden are strong candidates to fail to qualify for Russia 2018. Celta Vigo striker, John Guidetti (who has scored just once for Sweden) is expected to lead the line. Krasnodar defender Andreas Granqvist will now captain the squad, whilst fellow defender Filip Helander is hoping to make his international debut. Goalkeeper Andreas Isaksson, defenders Mikael Antonsson and Erik Johansson and midfielders Kim Kallstrom, Pontus Wernbloom and Erkan Zengin have all also decided to retire from international football. Last year was one of the worst ones for Netherlands and their national football team, as they have failed to qualify for the big event due to awful results. They finished 4th in their group behind Czech Republic, Iceland and Turkey in order to miss out on the Euro finals for the first time in the nation’s history. Their 1-2 home defeat against Greece on Thursday suggests Daley Blind’s team remain a long way from recovering to their former level. Ron Vlaar has suffered an injury in training and will miss the match. Jasper Cillessen could replace Jeroen Zoet between the posts while Virgil van Dijk might come in for either Jeffrey Bruma or Daley Blind as central defender. There is no place for Arjen Robben and Klaas Jan Huntelaar in the squad either, although the likes of Wesley Sneidjer and Kevin Strootman retain their place. 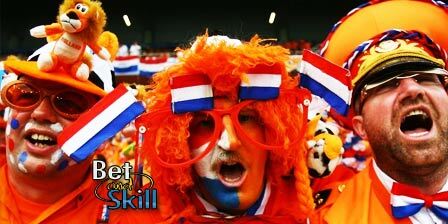 Exciting talents such as Riechedly Bazoer, Davy Klaassen and Vincent Janssen are likely to play at some stage. "Sweden v Netherlands predictions, betting tips, lineups and free bets (World Cup qualifiers - 6.9.2016)"